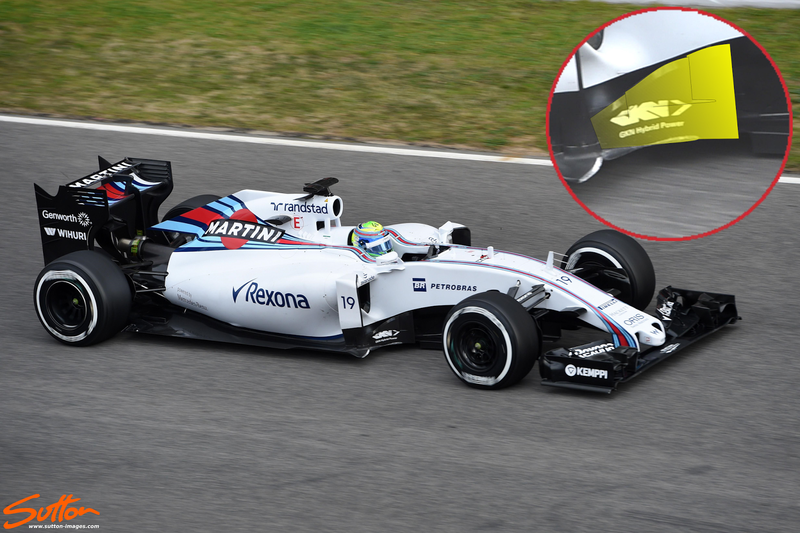 Williams have an array of updates to assess at this 3rd test one of which is a new set of bargeboards. As we can see in the inset, the team have serrated their bargeboards in a similar way to what we have seen Red Bull, Toro Rosso, Lotus and Mercedes do before. The serrations inject airflow from one side of the bargeboard to the other, energising the region and widening their operating window. This is of particular use at lower speeds as flow tends to become detached, as it cannot overcome the angle of attack and/or surface length as effectively. The changes to the bargeboards come at the same time as other components around the sidepod are altered.